San Carlo is a ‘not- for -profit’ organization governed by a Board of Directors. The work at San Carlo meets the needs of our Aged Italian Community and does so with the support of the Missionary Sisters of St Anthony of Claret (Claretiane Sisters). San Carlo Homes for the Aged began its development in the mid 1970s and the first stage of the complex was opened in 1979. 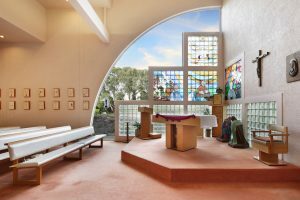 The facility was originally a vision of the Vaccari family and built and developed by the Italian Community Service Fund and the Scalabrini congregation. 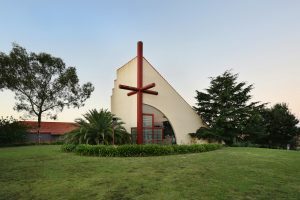 The Scalabrini fathers arrived in Australia November 1952 and the history of their presence in this country reflects the development of the Italian community and of migration here. Their role evolved and developed to meet the needs of the community and in the mid 60’s they began their involvement with aged care in Australia. In 2010 the Scalabrinian Congregation transferred the ownership of the San Carlo Homes for the Aged to San Carlo Homes for the Aged Ltd (San Carlo).